In most applications, chemical-free cleaning results in acceptable levels of cleanliness. But, there are still applications and soil loads that require chemistry. In those cases, what do you do? 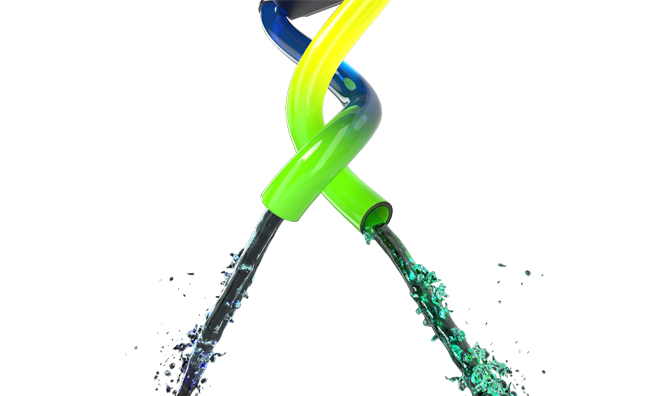 The O3+ ® System provides you two completely separate systems: ZerO3 ® Aqueous Ozone (AO) system and Suds Chemical Dilution system. 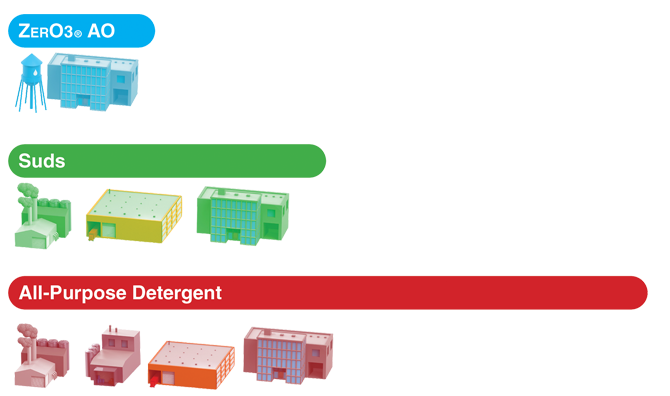 With the ability to immediately dispense detergent or AO at the flip of a switch, we provide a system that is desired in today’s market. 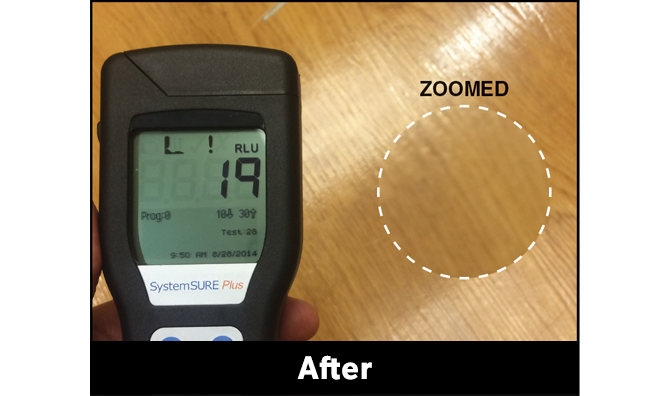 Replace your All-Purpose floor cleaners with one of Earth’s powerful oxidizer’s – Aqueous Ozone. Easy to utilize in your daily cleaning regiment. 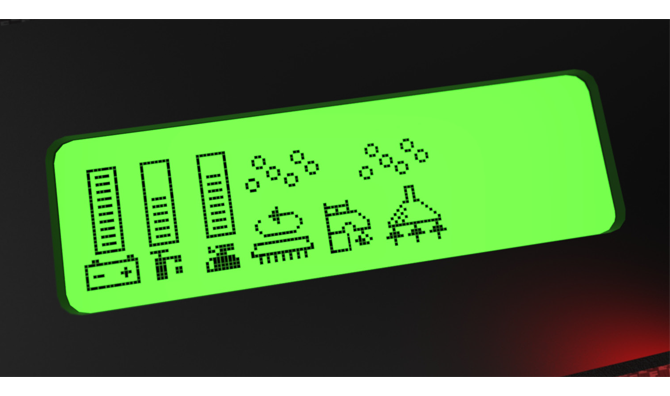 A 3-way toggle controls ZerO3 ® AO output with dual LED indicators as to what mode is being utilized. 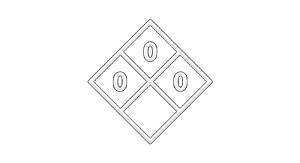 ZerO3® AO is operator and facility safe with a triple 0 on the safety diamond. The ZerO3 ® AO Generators split Oxygen (O2) molecules into single radical Oxygen (O1) atoms via the corona discharge. The single radical Oxygen (O1) atoms bond to remaining Oxygen (O2) molecules, creating Ozone (O3). 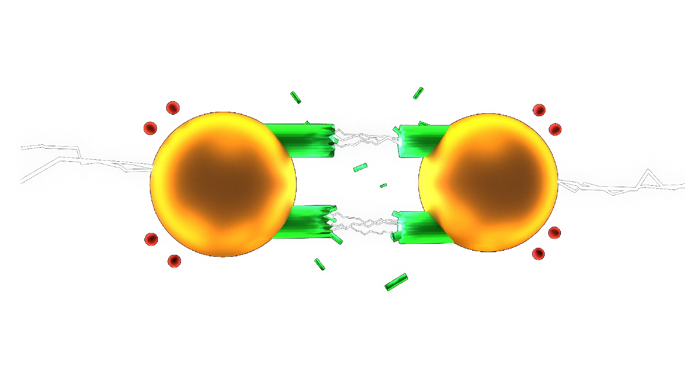 The radically bonded Oxygen (O1) atom will attach to the contaminant and destroy the cell wall, oxidizing the contaminant. Now, only simple Oxygen (O2) molecules are left, suitable for safe disposal. Easily turn ON concentrated chemical whenever you need it. Turn a hard job for chemical-free cleaning into a simple job with the help of a little chemistry. 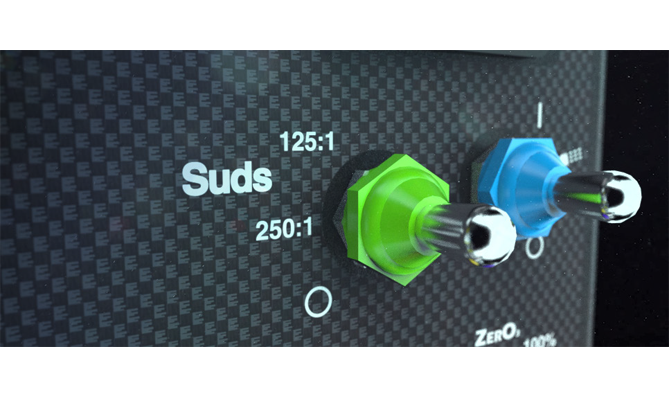 Operators quickly see bubbles on LCD display when Suds system is in operation. 6 total bubbles for “Single Dose” and 12 total bubbles for “Double Dose”. 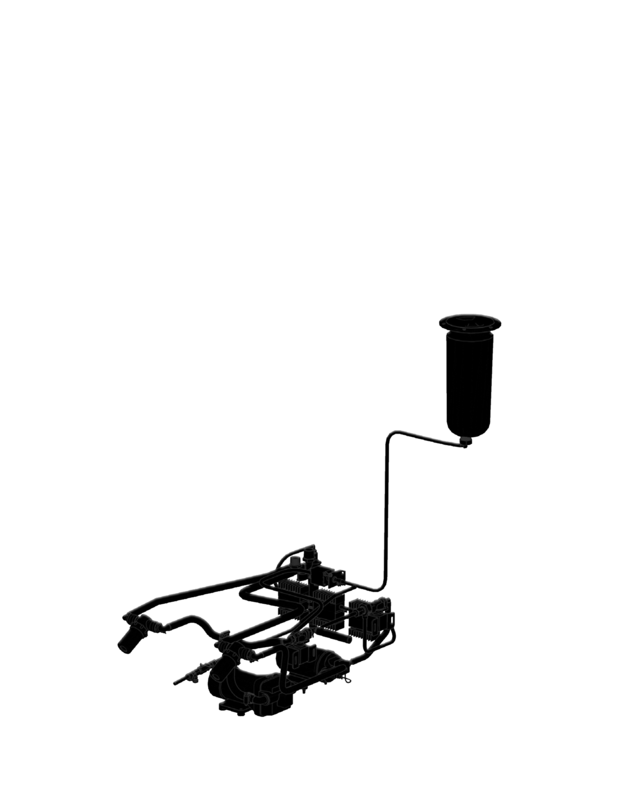 Simple 3-position toggle controls make utilizing the system as simple as could be. The system is OFF, Diluting at 1:250 (“Single Dose”) or Diluting at 1:125 (“Double Dose”). 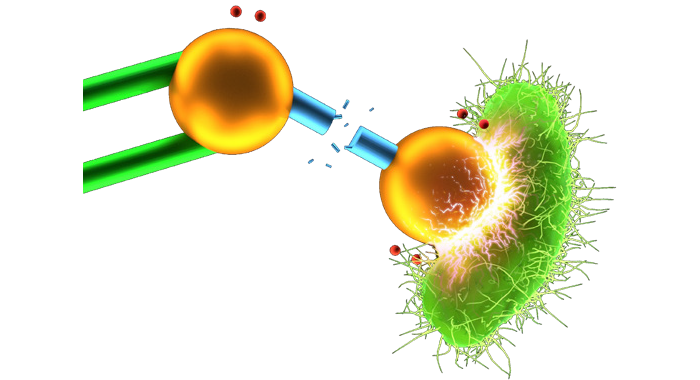 ATP meters measure the presence of actively growing microorganisms. Aqueous Ozone (AO) has been proven by many organizations as an effective cleaning agent. 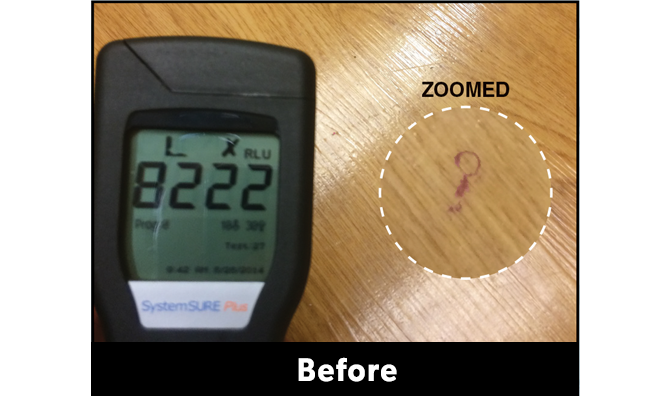 The graph below shows a 16-week study that was conducted in regards to ATP readings on the floor surface Before and After cleaning with traditional chemicals compared to cleaning with ZerO3® AO.  First 8-weeks were chemical testing only and last 8-weeks were ZerO3® AO testing only. Ever wonder what creates those awful smells in your equipment’s recovery tank? 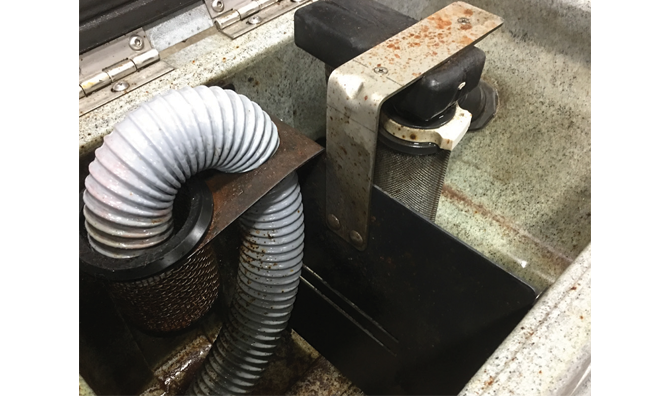 When equipment is not cleaned thoroughly, usage and storage results in smells and cross contamination. Ozone (O3) is widely used to eliminate odors from fire, smoke, pets and many household problems. Ozone (O3) in solution removes odors, reduces employee and customer complaints, and creates a healthier work environment. Use Your Own Chemicals, Anytime! O3+ ® System allows you to use your own non-proprietary, super-condensed chemicals. Simply open the machine’s Suds reservoir and pour in your chemicals. 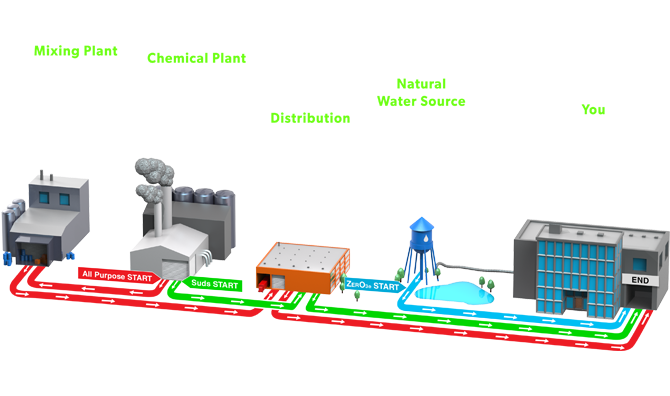 The ZerO3® AO System, requiring only a working water source, has the smallest carbon footprint and the least amount of environmental impact.  Raw chemicals are shipped to distributors who then delivers to your facility. 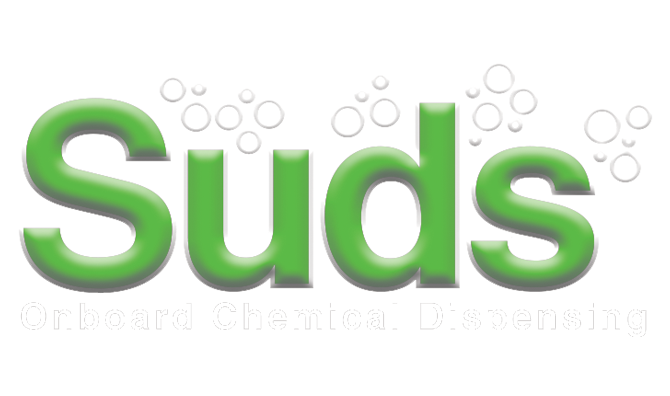 The Suds System delivers the power you need with on-site dilution. Cut out the middle man and keep shipping costs low while delivering results. Raw chemicals are first shipped to mixing plants. After that they are shipped to distributor to deliver to your facility. With all these added stops, the carbon footprint of standard all-purpose cleaners is extremely high.